It is the week of fireplace makeovers! Unintentionally, but it works… thankfully Fall has finally showed up around here & I would love to have a fire going right now. A few weeks ago I completed another project over at #ProjectFamJam. 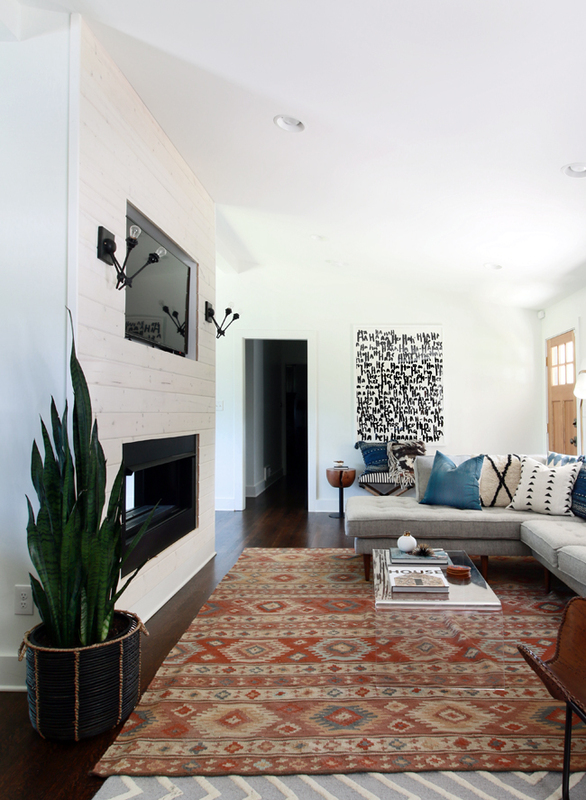 This time we tackled their modern double sided fireplace. And just in time too, because the entire home was shot for Atlanta Magazine Home!! How exciting is that?! When we installed the fireplace, we knew it needed something, we just couldn’t land on what that something was that either fit in budget or fit in the schedule. So I had them move forward with the install with just drywall, knowing that when we found the right product, we would be able to install virtually anything over that. Fast forward a year and later and we finally came across the right product. 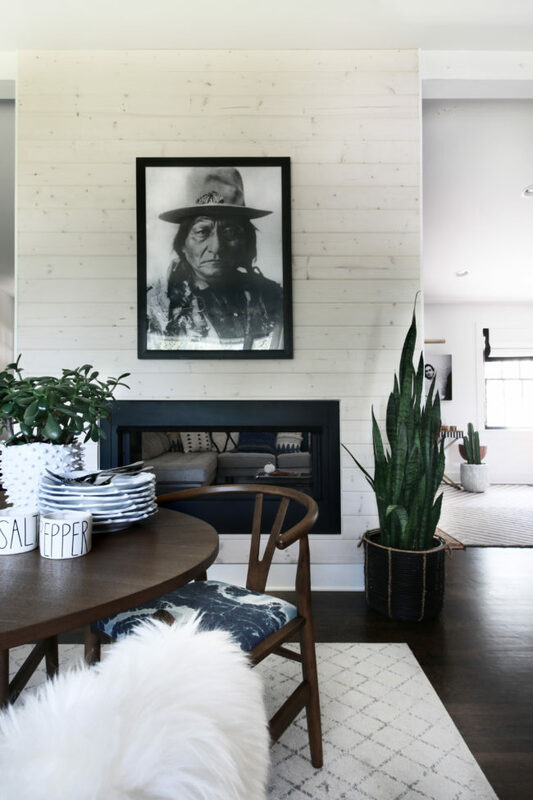 Knowing their style was somewhere along modern farmhouse with a little bit of an edge, we went with a White Washed Tongue and Groove board from The Home Depot. It has a slightly rustic feel with the material but the wood stain isn’t as harsh as a standard pine. The pre-finished white wash allowed the knots to show through which we loved and the entire install provided a great new texture to the space. I detailed the entire install process over at The Home Depot’s blog, so if you are interested in tackling a similar project all of the info is there! We have tackled some big projects over the years, but I do have to say that even though the scale of this one was larger, it was actually one of our easier ones. So don’t be afraid to think you can tackle something like this too!